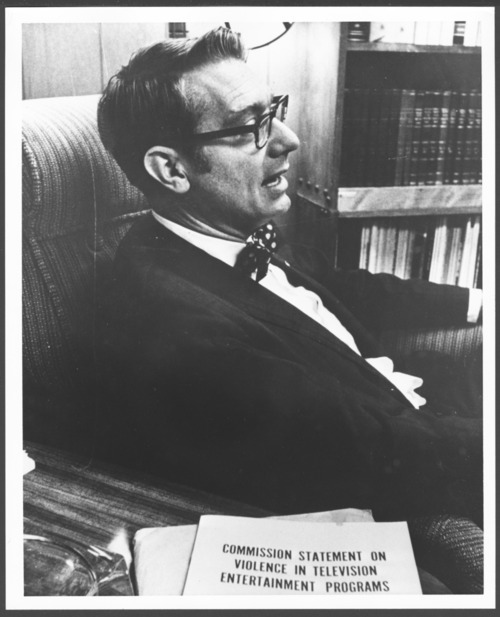 This photograph of Dr. Walter Menninger shows him with the 1969 report on violence in television. Dr. Walt is the third generation of Menningers to lead in the research, study, and treatment guiding people to mental health. Walt's grandfather, C.F. Menninger; father, Will Menninger; and uncle, Karl Menninger established the Menninger Foundation in 1925 in Topeka, Kansas.